KEEPER OF THE SNAILS: Dr. K Toyama and Mendel's laws of inheritance. 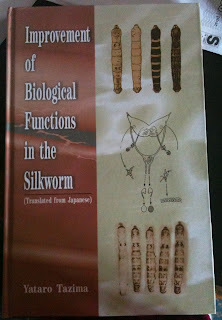 I spent yesterday revisiting Improvement of Biological Functions in the Silkworm by Yataro Tazima. 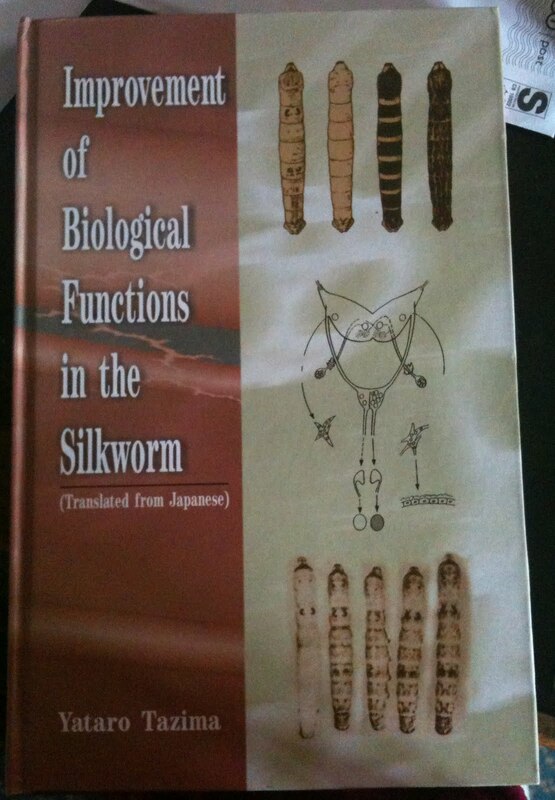 It is a little hard-going but contains some fascinating detail on silkworms. Silkworms, like other insects, sometimes spontaneously clone themselves, and this can be induced by either dipping them briefly into hydrochloric acid or raising and then lowering the temperature. Like drosophila, silkworms have been a good subject for genetic research since they breed quickly if you get the conditions right. Consequently, it was Dr. K Toyama's experiments on silkworms in 1902 which first demonstrated that Mendel's newly rediscovered laws on inheritance also applied to animals (as well as plants). It was a controversial finding, apparently, and there is more about it in a paper published last year by L Onaga. It looks very interesting, but unfortunately, since I am not an academic and consequently have no access to a university library, it would cost me $40 to read it. Maybe I'll see if it is possible to take a look next time I'm in the British Library. Hello Clare. It is good to see that you are still interested in silkworms. Yes Pierre, I miss them a little. I think I shall have to raise a new batch to keep me company.